What a fun idea!! I never thought of having a smoothie in a bowl! Loving all the toppings you can add! It’s almost like a breakfast soup! Now therre’s an idea – a smoothie in a bowl! Makes perfect sense to me – drinking smoothies from a glass can be challenging… What a wonderful colour too! I always make such a mess when I drink them from a glass. That smoothie looks so pretty. My favourite one is with frozen banana (I slice them before I freeze them to help them blend quicker), frozen cherries, frozen blueberries, soya or almond milk, and a little acai powder, then topped with some muesli. Reminds me of our holiday to Hawaii as lots of cafes served acai bowls like that. Frozen bananas in a smoothie are the best! Awwwh, I miss Hawaii so much. I love it there. This looks right up my street! I LOVE smoothie bowls!! You can get loads of fab toppings on them! This looks really delicious! The blender looks great too! Chia seeds are my favourite topping at the moment I think. It’s all about the fruity breakfasts in the summer. i love any kind of berry smoothie! yum! Never thought about putting a smoothie in a bowl but I like your idea! I can’t believe you got this Vita-baby fo free. TOO LEGIT! I have one, and I also have a Blendtec. HAHA. 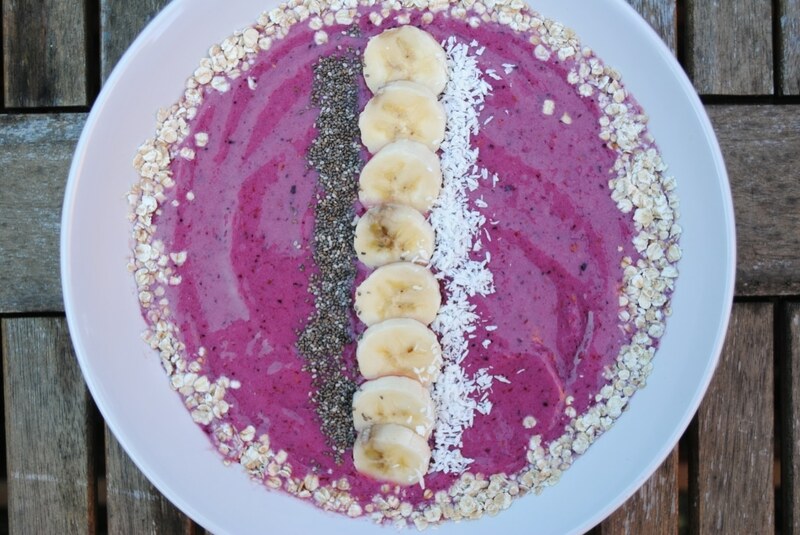 Smoothie bowls are the only way to go! I would have never thought of serving a smoothie in a bowl, what a great idea! I think part of the reason why I don’t really utilize the smoothie is that I don’t really like drinking my meals. I am the same, as it doesn’t really feel like a meal if I drink it. I find having it in a bowl like this is much more filling. I need a new blender. I haven’t seen that one before. Looks really nice. Just found your blog and I have to say I like what I see! I think I will try a smoothie bowl for breakfast tomorrow morning after my run. Looking at all your recipes is making me hungry now so I will check things out more thoroughly tomorrow! Can’t wait to see more! Welcome to the blog 🙂 I am going to head over to yours to take a look! How amazing is this smoothie! ! And that colour.. What a fun and creative idea of serving it in a bowl.. love it!!! This smoothie recipe sounds yummy. 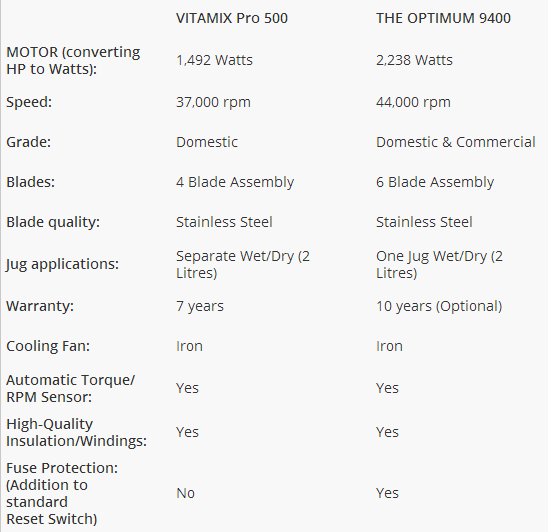 I do have the vitamix bc I was told it was one of the best ones out there but after comparing them I’m not so sure now. But it does do a great job! Better than most anyways. 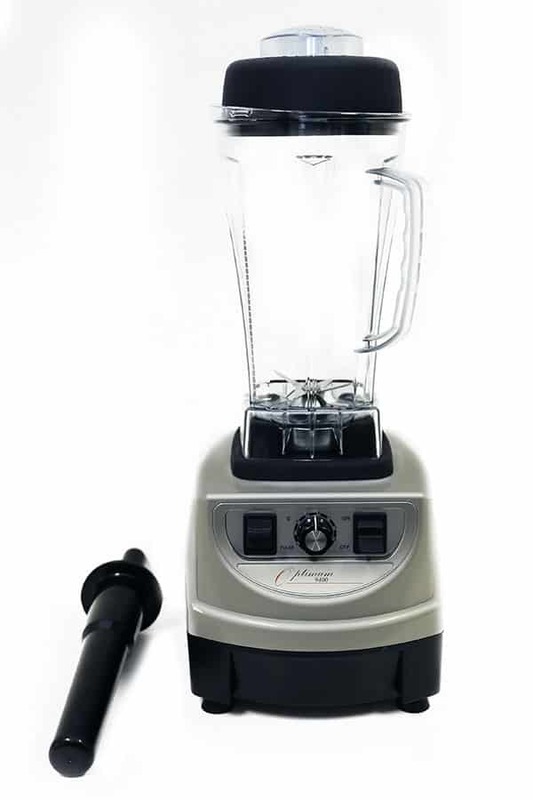 The vitamix is a good blender too, but this one is more powerful. How pretty does that look! 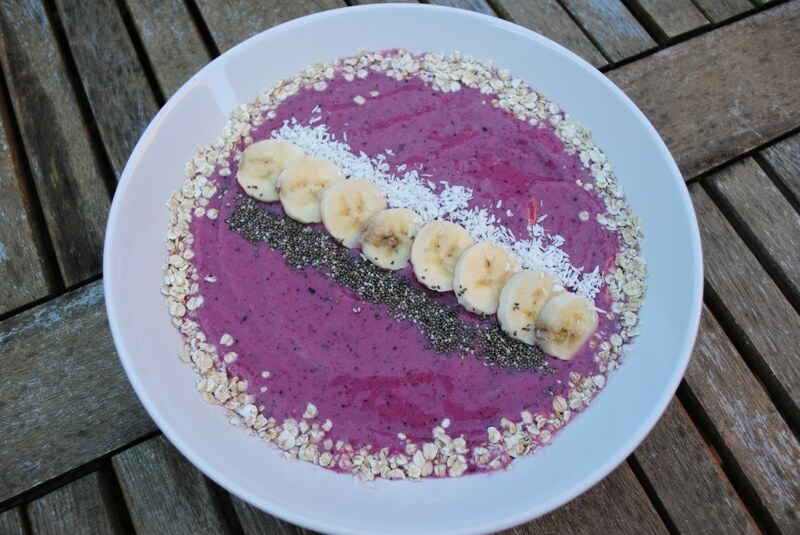 Love the idea of serving a smoothie in a bowl Dannii, mine are often on the thick side so it makes perfect sense! And thank you for the link. I think I prefer thick smoothies anyway, as it seems like more of a meal.